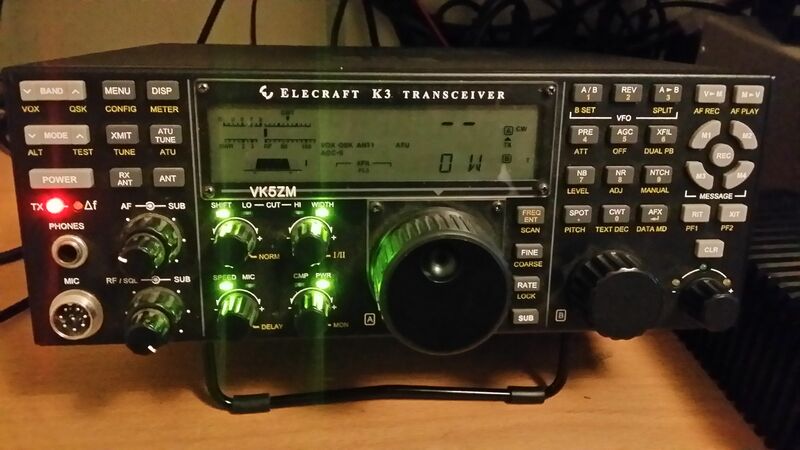 I spoke too soon with my recent Elecraft K3 repairs (click). The radio happily sat on the desk for a few days behaving itself nicely when wham the fault returned. Drats I hadn’t fixed it ! So the covers came off and when power was applied the fault had cleared again, here we go again *sigh*. This time I was suspicious of the cabling between the reference oscillator and the synthesiser. So I spent a bit of time pushing, pulling and prodding this cable. At one point I had slowly bent this cable sharply down towards the main PCB in the bottom of the radio when the LED on the Synthesiser board went nuts. By nuts it started flickering on and off, this time it did not flash or go out. When I slowly released the cable the LED would flash slowly and transmit was restored when the radio was power cycled. Right so were getting somewhere could the cable could be intermittent ? So I duly dug through the spares box and found a spare 150mm long piece of RG-174 with the appropriate Taiko Denki connectors and replaced the short 70mm cable. Since the replacement cable was longer than the original, I’d put a small loop on the end so that it sat clear of it’s surroundings. I left the radio with the covers off for a few hours with the radio on test, pushing and prodding things and it seemed fine. After a day and half with the covers off I then screwed the covers back on again. Within 2 hours the radio faulted. What on earth was going on ? My next move was to pull out a test jig I’d made years ago that allowed me to put a decent amount of RF power (50-70W) through the short 70mm cable into a dummy load. With RF being applied I then push, prod and pull the cable and watch an inline power meter for any reflected power. If the cable is intermittent having RF with some power behind it will quickly show problems. So it was definitely time for a coffee and a re-think. I spent a bit of time lifting and replacing the lid when I decided to bring ones face down to see what was happening when I spotted something. The speaker is mounted to the top panel of the K3 and as the lid was closed the speaker would interfere with the cable between the reference oscillator and synthesiser; pushing and holding it in a downwards direction. This then got me thinking, has this interference between the speaker and cable flogged out the Taiko Denki sockets ? A quick check of the circuit shows that sockets J1 and J2 are effectively in parallel, well they will out the same level from both sockets. So I moved the reference oscillator from J1 to J2 and put the radio back on test, this time with the short cable again. I could not get the radio to fault for a further day and a half. All of this silliness had gone away. However unless I can explain what has happened, well I didn’t fix it. Right now option 2 is the most likely explanation. So for the time being I’ve left the reference oscillator plugged into J2 and have ordered more Taiko Denki sockets and plugs from the interwebs. With luck I’ll find a crimp tool, otherwise I’ll be making my own, Hmm that sounds like a good blog post in the future. I’m fingers crossed that this fault is now fix and it’s time to find a camera for my microscope. There is nothing more frustrating than an intermittent fault that only presents itself at a contest or when you’re working rare DX. My Elecraft K3 has been doing just this on and off for the past three years and it’s been slowly driving me crazy. What you see above is 0 Watts being reported, no SWR display with the TX LED lit. It certainly wont make any QSO’s like that. So this wasn’t the first time I’d seen a fault similar to this. 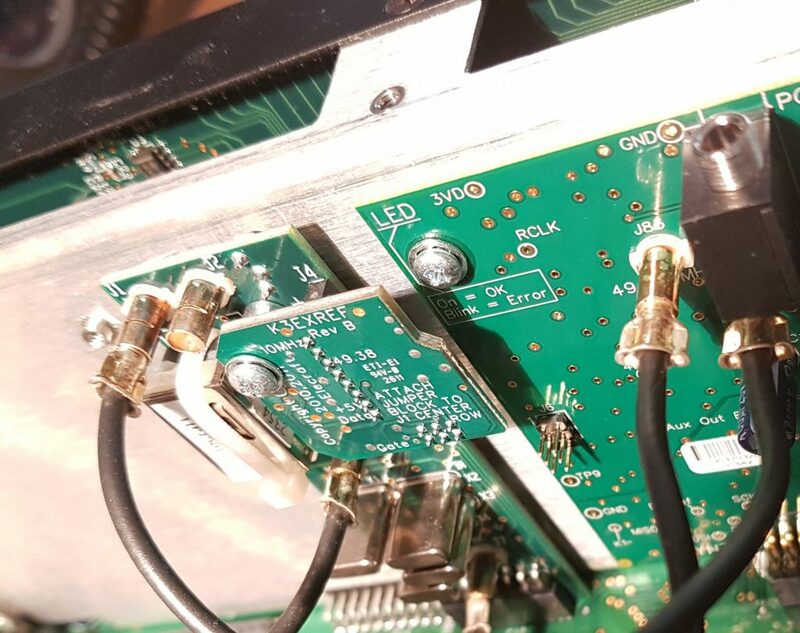 A year ago the LPA module failed after copping a static discharge in the antenna port from a dipole in a dry wind storm. 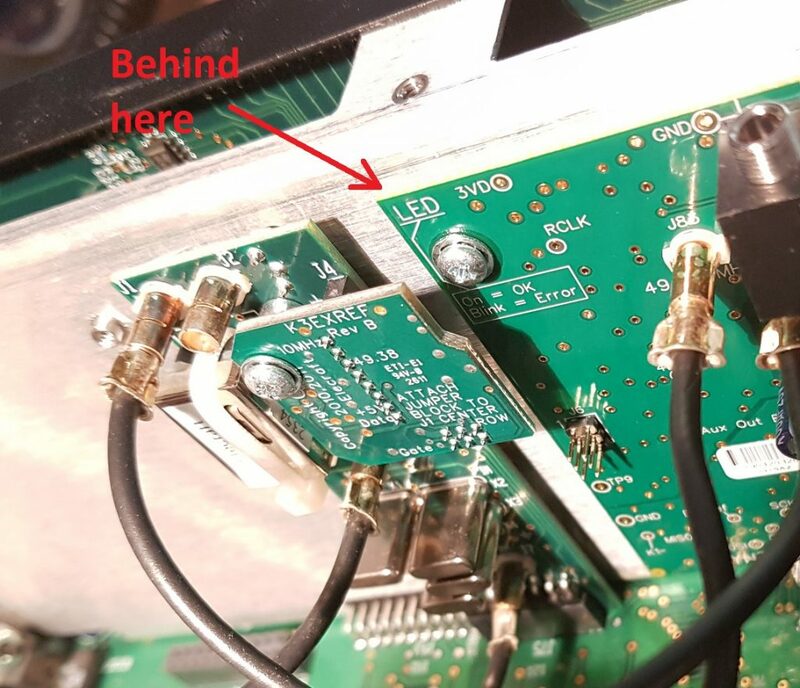 With the help of Elecraft support this turned out to be nothing more than a small signal MOSFET that had failed on the LPA and was easily fixed. Well so I thought. pulling, pushing, prodding and re-seating every cable to see if there was a broken connection, more nothing. pulling, cleaning and re-seating every board from the main board to dislodge oxide buildup, more nothing. using a hot air-gun and freezer spray to see if something had become temperature dependant, nothing. So this afternoon the radio decided to fault and carry on faulting. Now was the time to get the covers off. Once done I noticed that the LED on the top of the KSYN3A would sometimes not light. Power cycle the radio and the LED would come back on, then power cycle it a few more times and it would stay off. The great part was when the LED was off the radio made no RF. Ah Ha, there is no such thing as a coincidence ! I’d finally caught this fault in the act. The KSYN3A is responsible for generating the Local Oscillators (LO) for transmit and receive, no LO and there can be no RF. Right that’s starting to make sense. So now I could narrow down on the fault. From everything I had observed I had a suspicion that there was a problem with the output of the KREF3 board, either not providing the KSYN3A synthesiser with a signal or one that was out of spec. It was certainly a good place to start.. However before going much further I needed to check that the cabling between these modules was right. However this is not how I found my radio was configured. It instead had the K144XV REF_IN connected to J1 on KREF3 and J2 connected to the KSYN3A J83. Huh ? Ah Ha ! 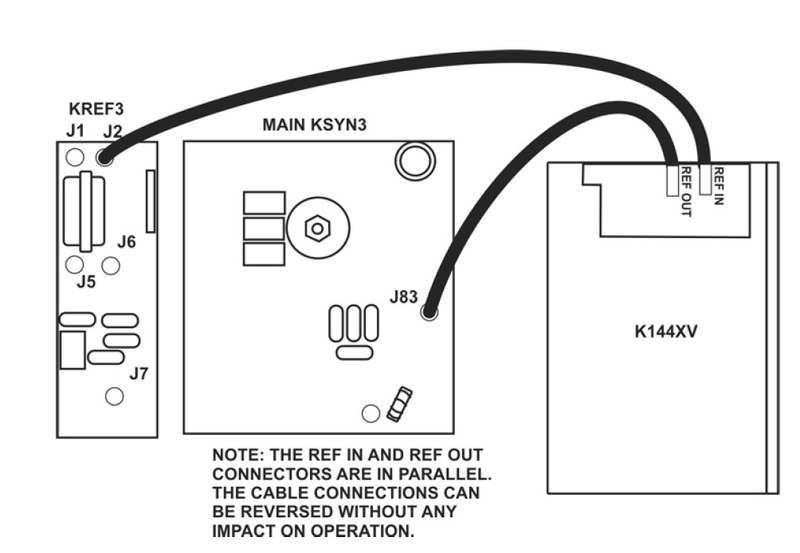 It seems that when I installed the KSYN3A upgrade I didn’t wire the K144XV module correctly. What I had done is connect the K144XV reference to J1 on KREF3 not J1 on KSYN3A. Damn ! The worst part is this wiring mistake appeared “to work” but it had instead introduced an intermittent fault where the reference output is loaded by the K144XV to the point the signal was marginal and the KSYN3A faulted. So I have moved the cables to the right locations now and so far over the past 4 hours the radio has not faulted. Only time will tell if I have this intermittent fault nailed. I guess going to another contest will be the acid test. Oh wait there’s one of them on right now, so it’s time to fire this radio up for the John Moyle Memorial Field Day (JMMFD) and see what happens.